Learn 2 Fish With Us, Inc. is a not-for-profit company (501C3 organization) that was started in 2006 by Greg Karch, founder and certified Angler Educator and Instructor. Although Greg holds a full-time job at Thrivent Financial in Appleton, his passion for fishing and giving back to the community led him to create his unique seminars of ‘Fishing Basics’ and ‘Ice Fishing Basics’, which he provides to organizations all over Wisconsin free of charge. 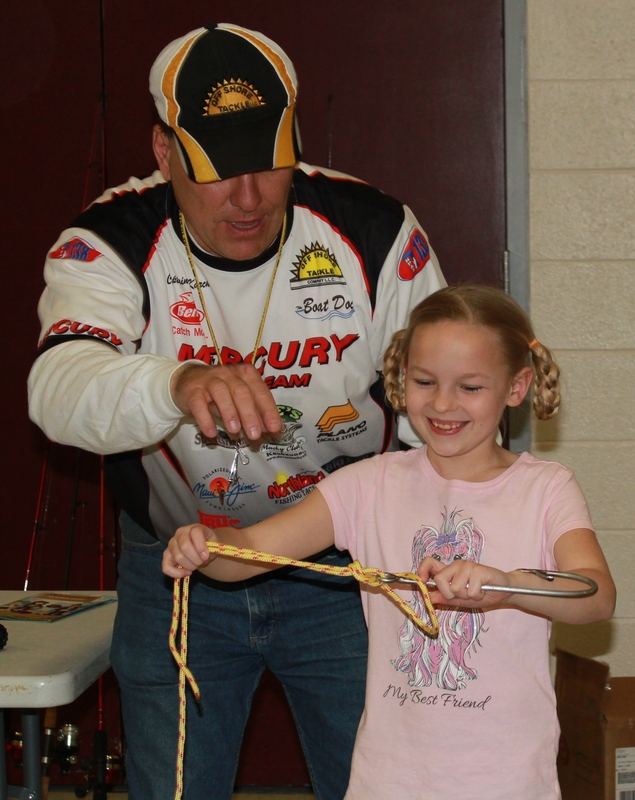 Learn 2 Fish With Us has educated more than 20,000 anglers in Wisconsin since 2006 and has hosted 250+ free fishing workshops! If you are interested in hosting a fishing workshop with Learn 2 Fish, please complete this form. (P.S. Did you know we are 100% funded by donations and sponsors? Can we reel you in to support us? Our Mission Statement is simple, ‘Grow the sport of fishing by educating and inspiring beginner and experienced anglers’. How will you learn more about fishing? Through our seminars, which can be customized for your group, through tailored fishing experiences and from articles that appear on the website and through the video library we have. Should you not find what you are looking for on the website, contact us as we will help you out! In 2014, ‘Fishing Basics’ received two awards for the education and outreach of fishing and preventing the spread of Aquatic Invasive Species. 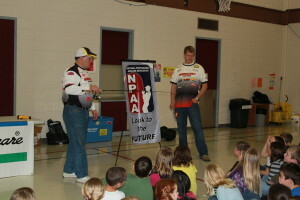 The awards were presented by Wildlife Forever and the State Of Wisconsin. Why is our site named ‘Learn 2 Fish With Us’? Together through the partnership of our sponsors and our Angler Educators, ‘US’, we are here to help educate and inspire new and experienced anglers to fishing. Our website and seminars teach youth, families and fisherman about safety, equipment, how to use the equipment, techniques, tips, bait and more for open water fishing and ice fishing. So, if you are a beginner or have been fishing for a while, we intend to have information for you! Check out our Testimonial page to see feedback from attendee’s from past fishing clinics. Check out our How To Video’s along with Tip Video’s as we continue to build the video library! Check out our Sponsors Page, as this site and our educational programs would not be possible without our great sponsors. Are you looking for a fishing clinic? Contact us! On behalf of ‘US’ we would like to thank you for coming to our site. Fish On! and Aquatic Invasive Species (AIS). In 2013, I created the seminar ‘Ice Fishing Basics’ which educates the angler on safety, the different ice fishing equipment, ice fishing techniques, bait, fish identification and more. I have guided, fished professionally and have been featured in many different publications. In 2013, I received an award from the National Professional Anglers Association for Outstanding Service and Dedication for helping to growing the sport of Fishing. I am the Founder of Learn 2 Fish With Us, Inc. and now serve as the President on the Board of Directors since we have become a non-profit, 501(c)3 organization in 2015. A Financial Statement of the charitable organization disclosing assets, liabilities, fund balances, revenue, and expenses for the preceding fiscal year will be provided to any person upon request.